Bats are finding a surprising haven in abandoned Israeli bunkers, researchers say. The bunkers, on the border with Jordan, have been turned into official bat caves, helping to save the endangered mammals from extinction. 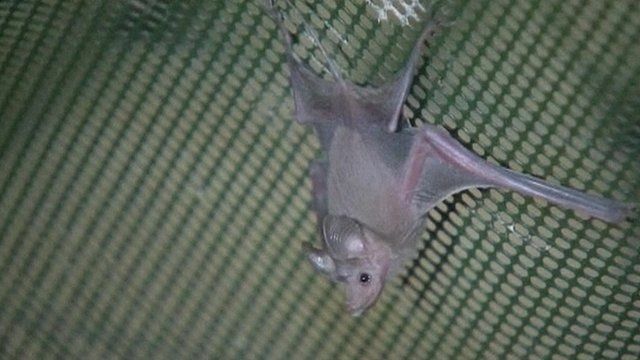 Scientists say they have identified 12 indigenous bat species in the 100km (60 mile) tract between the Sea of Galilee in Israel and the Dead Sea's northern edge in the occupied West Bank. "This place of all places, that man built and later left, they (bats) were wise enough to enter and live in," Aviam Atar, of the Israeli Nature and Parks Authority, said.